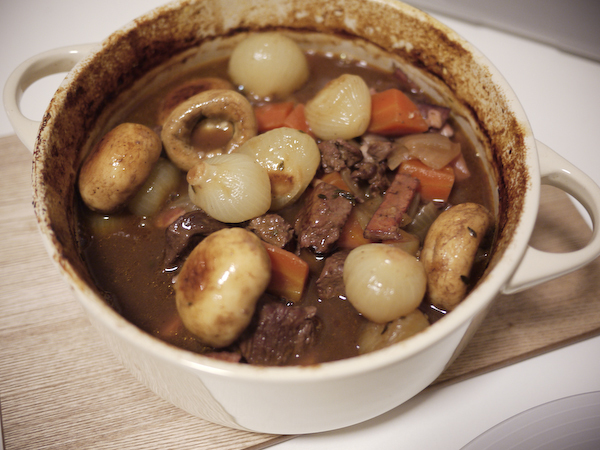 This is the only photo evidence I have that proves I made Beef Bourguignon (although it doesn’t ACTUALLY show me making it). It’s the ultimate fatty lovers dish because it involves browning the meat in bacon fat and mushrooms sautéed in butter. YUM. What you have in the end is a mélange of flavors - meats, wine, fat and 4 hours of cooking time.